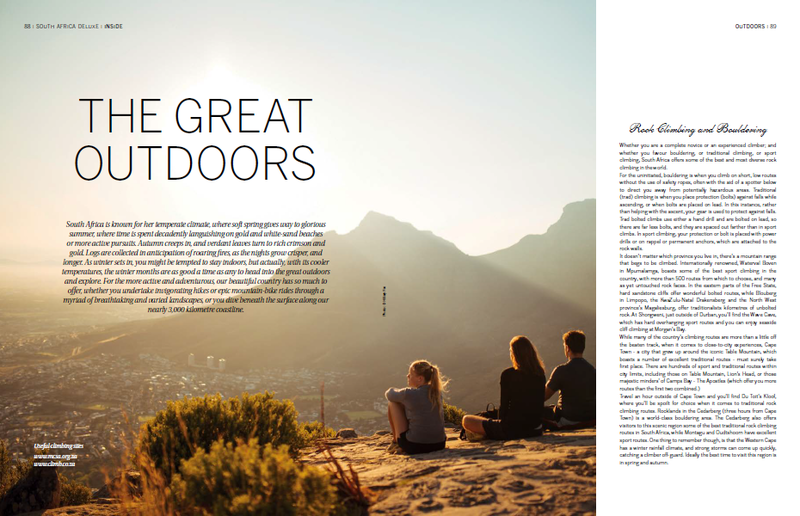 South Africa is known for her temperate climate, where soft spring gives way to glorious summer, where time is spent decadently languishing on gold and white-sand beaches or more active pursuits. Autumn creeps in, and verdant leaves turn to rich crimson and gold. Logs are collected in anticipation of roaring fires, as the nights grow crisper, and longer. As winter sets in, you might be tempted to stay indoors, but actually, with its cooler temperatures, the winter months are as good a time as any to head into the great outdoors and explore. For the more active and adventurous, our beautiful country has so much to offer, whether you undertake invigorating hikes or epic mountain-bike rides through a myriad of breathtaking and varied landscapes, or you dive beneath the surface along our nearly 3,000 kilometre coastline.